Everyone knows how much I love a good Morganville Story. 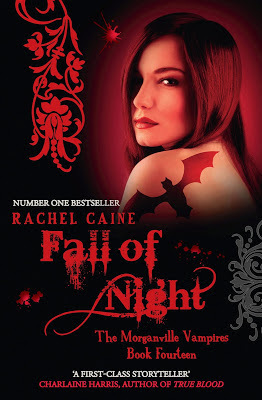 Rachel Caine is a true idol when it comes to writing about Vampires; she makes it believable, yet all that magical at the same time. "Fall of Night" is one of those books that just blinds you from everything else in the world while you're reading; it captures your attention, demanding to be read. The penultimate novel sees Claire prepare to leave Morganville *shocked* but she was always very headstrong and academic, as every Morganville Fan knows, so passing up an opportunity to have a graduate course at MIT was never an option for Miss Danvers. Saying goodbye to her boyfriend; Shane, would be painful for her *and the readers?! * also saying goodbye to her friends would be hard too, because there is always that thought that the dynamic that made them survive was having each other, and if Claire leaves, what would that do to them? Of course, how would they survive without the witty, feisty and fiery Claire?--but leaving wasn't all it cracked up to be. Claire actually fears it could be her last mistake at one point. The changes in POV were spot-on in Fall Of Night. I actually loved the more mature feel to this book, and felt more connected to other characters, although not being in Morganville was so weird! And of course, you'd think now that Claire is away from the Vampires and strange town activities, maybe her life would be more...normal? Ah, think again! This book took me on an incredible roller coaster of a ride, and the ending! Wow, I did not expect that at all! Ms. Caine surprises and enthrals me into another passionate, action-filled world that was beyond amazing. 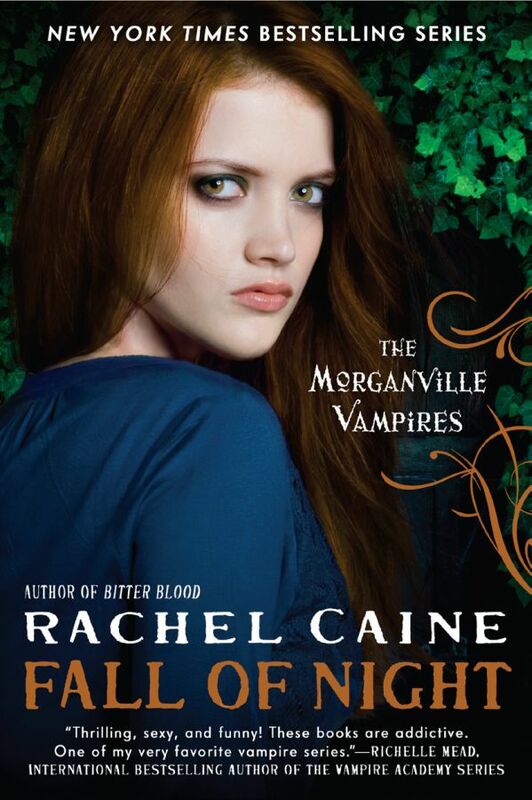 I would say I am *patiently* waiting for book 15, the last Morganville book *sobs* but that would be lying...I am counting the days until I can read it! Another five stars (I would give it 6 if I could!) 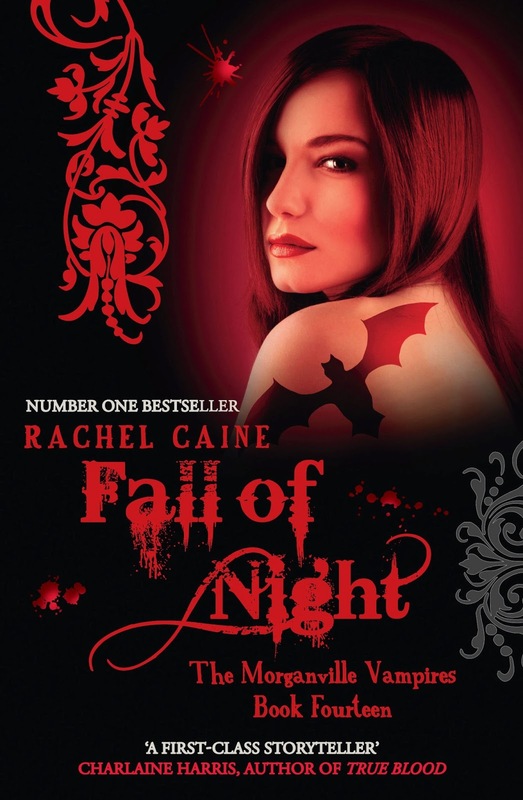 from me for another phenomenal novel from Rachel Caine! Many thanks to Allison & Busby for the amazing copy of Fall Of Night and here's to waiting for another dose of Morganville-mayhem!